In case you missed it, GW are running the now-traditional survey for model of the year 2018 over on the community site, and it’s well worth casting a vote, if only to look back on the crazy amount of amazing miniatures that have been released over the last twelve months! Custodians back at the top of the year – how I’d forgotten about them, I don’t know! It was a difficult call for me, as there was so much to choose from, but in the end I went for something that had a big impact on me, personally – the Thorns of the Briar Queen warband for Warhammer: Underworlds. This is a collection of models that truly sparked off getting back into the whole fantasy thing and Age of Sigmar once again, and while I kinda looked the other way all through the slew of releases for the last couple of years, it’s this small group of miniatures that has hooked me in and got me wanting to paint and play with fantasy miniatures once again. So there we have it! I’ve also been reading Lugren’s New Year blog, and it’s gotten me thinking a lot about the releases from last year as a whole, rather than individual models. 2018 was a tremendous year for the hobby overall, with so many wonderful releases across a whole range of systems – GW have put out their own run-down of the year over on youtube starring Peachy and Duncan, but I thought I’d take a brief look as well, with some rambling thoughts of my own! 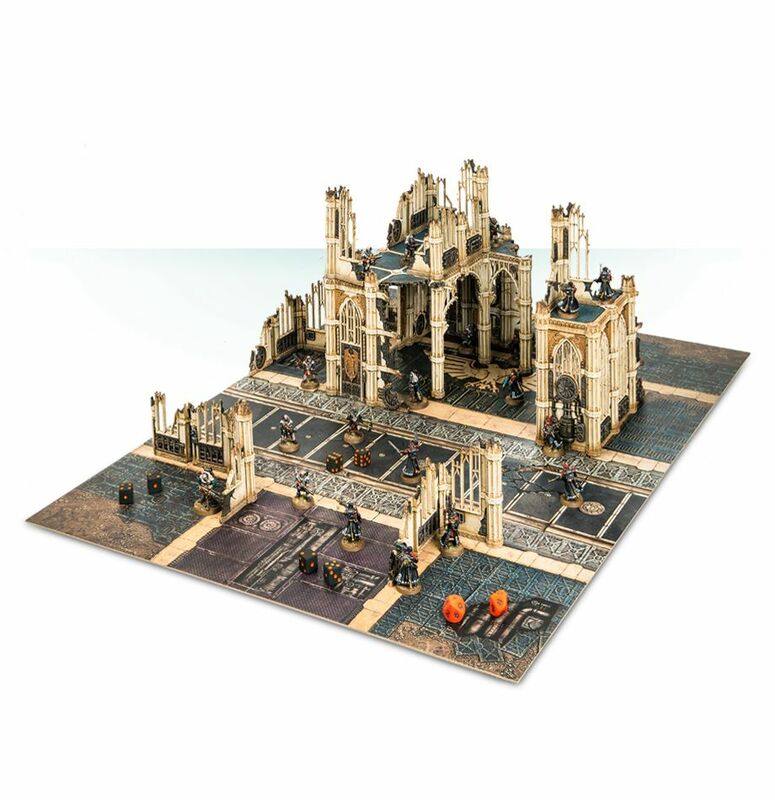 I have to agree with Lugren on the fact that Kill Team has been huge for 40k, with massive support right out of the gate with boxed expansions for a whole slew of factions, as well as the kill zones and, of course, the more traditional expansions: Rogue Trader, and Commanders. 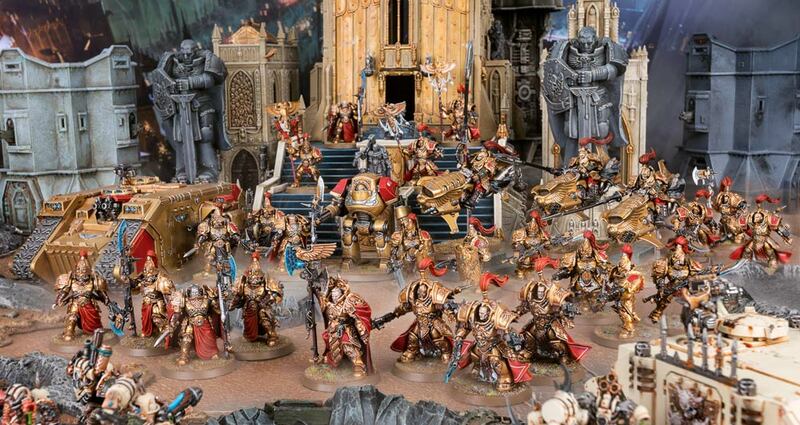 While I can’t say with any kind of statistical certainty that it will have brought in hundreds of new players, I have certainly heard anecdotally of existing 40k players now broadening their horizons because they only wanted to paint up one box of Rubric Marines, and now Kill Team lets them do that. Giving people the perfect excuse to buy into a faction they would otherwise never have bothered with is one of the game’s greatest successes, and I’m sure plenty of people have been suckered into regular 40k due to the gateway drug of Kill Team. Rogue Trader was huge for the hobby in general, of course, and I think the future is extremely bright for us all if GW are indeed going to continue to explore the darker corners of 40k that the regular tabletop game wouldn’t otherwise allow them. Along the same lines, Blackstone Fortress has been an absolute triumph, from all accounts, and is another outlet for the more esoteric aspects of the 41st millennium. I’ve still only played this game once, but I remain pretty impressed by the simple fact that it exists, let alone anything else! Again, the promise of more expansions for this game in the future has got me in quite the froth, as I excitedly look forward to more miniatures I never knew I wanted! 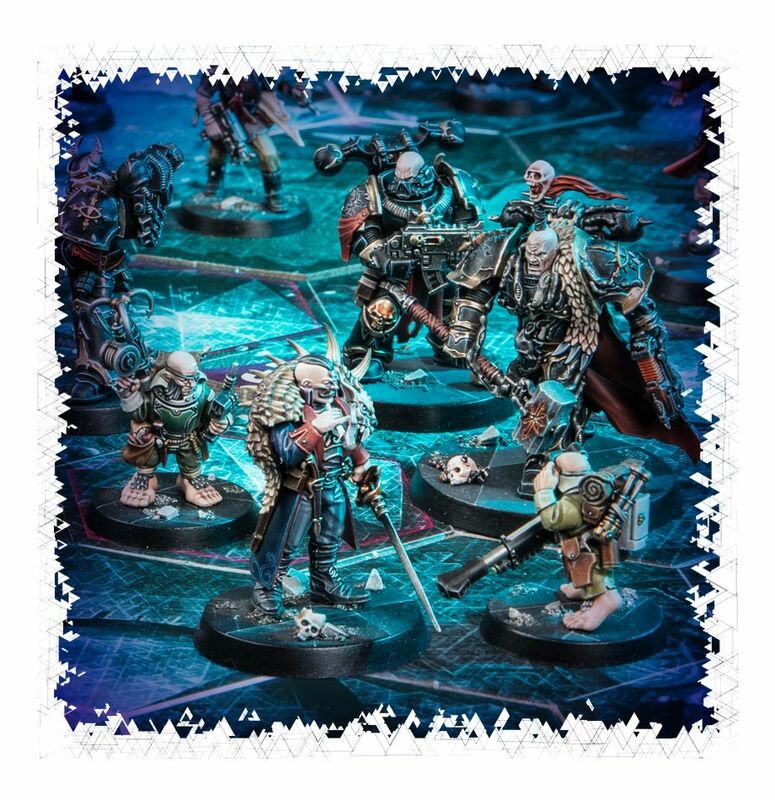 If they’re anything like the Negavolt Cultists or Rogue Psykers, then I’m going to be utterly delighted for a long time yet, anyway! I think it’s been a curious year for 40k otherwise, as we’ve seen a lot of releases for the game, but because of the fact they’ve been pumping out the Codexes for 8th edition, I for one have been feeling like we’ve been getting more than we actually got, if that makes sense. Sure, there have been the odd smattering of new model releases, like a couple of new Knights and smaller stuff like the new Cryptek and the Abominant, but in the main we’ve seen little else. Aside, of course, from the Golden Guys, the Adeptus Custodes. 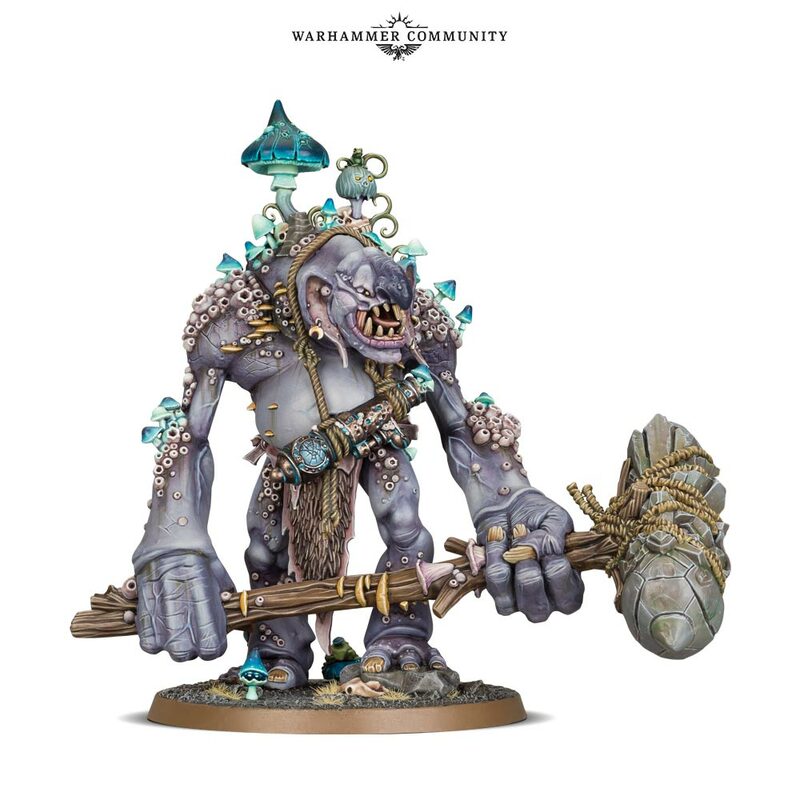 I’ve been mightily impressed with the models on offer during 2018, and I think there is a great deal to enjoy from Games Workshop from the last twelve months. Looking to the future, we’ve got the New Year Open Day this coming weekend, where I’m hoping we’ll get to see a bit more into the future for 2019. I think I’m most intrigued by what’s next for Necromunda, as we’ve now got all six of the original gangs re-released in glorious plastic. What could be next, Arbites? Hope so! 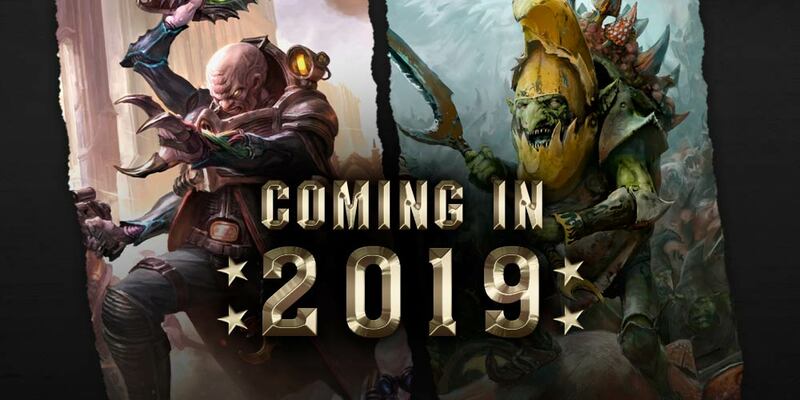 The Genestealer Cults will be getting their new range soon, along with the long-awaited Codex, at which point we’re sort of into uncharted territory, as there are very few factions left without a book. Sisters are coming, rumour has the release being around October, so I’m not expecting their book this side of the summer. But aside from the Inquisition / Imperial Agents / Talons of the Emperor / whatever you want to call them, we’ve got it all. What will keep 40k fresh? Campaigns, I think! 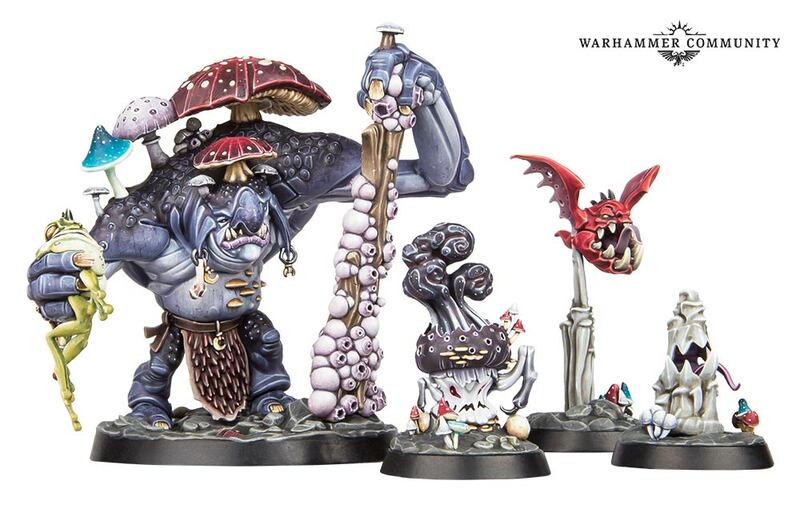 I’m expecting to see more battle boxes along the lines of Forgebane and Tooth & Claw, possibly as many as one per quarter, which will tie into some kind of campaign that is going on. We’ve got part two of the Vigilus campaign going on right now, and rumours abound of the standalone release for the Blackstone Fortress models indicating a Codex: Black Legion, but I’m expecting to see something a bit more along the lines of Vigilus Defiant as we move forward. Aside from the fact that the Black Legion is the Chaos version of the Ultramarines, and so they’re the baseline for Chaos, I think it makes more sense for us to see new releases in this way. GW are afforded more flexibility with releases if they release new models in this manner – Haarken Worldclaimer and Marneus Calgar could come out without requiring a re-write of Codex: Heretic Astartes and Codex: Space Marines, for instance. We’ll still get codices when we need them, like with the Sisters, but I think we can expect to see more in the way of campaign books and battle boxes in 2019. For Kill Team, I’m hoping that we get at least one more big expansion along the lines of Rogue Trader, and I’m hoping that will be Inquisitors. I’ve talked about this before, of course, but I think it’s a natural move, and it really needs to happen to properly round-out that game. I’m also expecting some sort of book release like the Commanders book, but for adding either fast attack or elites options to the game – or both. I think they could quite sensibly bring in things with the right sort of limitations. It’s definitely an exciting time to be in the hobby right now – I realise I say this a lot, but even with just everything that we know coming over the hill, I’m really excited for it all to make its merry way into my pile of shame! Nice write-up. My biggest issue is that there’s just too much to paint and not enough time! Definitely!! And all of this stuff being announced at the Open Day today isn’t helping matters one bit!! Thanks for the shout out! I agree with your assessment that Kill Team is like a gateway drug lol. I also very much like your idea of the famous Kill Teams that could allow you to use some cool stuff, and do something a little different, so I’d love to see something like that. Next Next post: New Year Open Day 2019!